Who doesn't love a good mystery? This mystery Block of the Month is a fun and bright quilt that runs for nine months. Featuring applique, embroidery, piecing and more. With Wendy picking the fabrics, you know it's going to be good. Only $24.99 a month for 9 nine months includes all the fabrics to make the quilt top and binding. Get yours today! 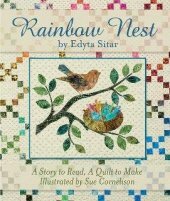 Rainbow Nest is the first story book by Edyta Sitar of Laundry Basket Quilts. This adorable book brings a story and a baby welcome quilt together. Quilt pattern and applique shapes included in the back of the book. This would make a great gift to a new mom or soon to be mom.Order yours today. Becky Goldsmith Is Teaching At HIQ! Join MJ as you make the Lone Star/Radiant Star quilt over their next three meetings of Tips And Techniques. This is a great time to join them if you've been wanting to make this bucket list quilt. MJ offers a Thursday evening club meeting that starts this Thursday from 6-8 p.m. and a Monday daytime meeting from 12-2 p.m.
Get your creative juices flowing! In this two part class on Friday, Sept. 5, from 10 a.m. - 1 p.m. and Saturday, Sept. 6, from 2-5 p.m., you will learn many embroidery stitches as well as techniques for beading and couching. Jill will teach you how to take your wool (and cotton) projects to the next level by incorporating these embellishment stitches and techniques in your projects. Register today. Were you sad that you missed out on the first offerings of Stitching Society? Well, turn that frown upside down as Janet is starting another Stitching Society on Sunday, Sept. 14, from 2-5 p.m. This club will meet the second Sundays of the month for a year. 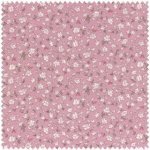 Your membership in the society includes your pattern sets, stitchery instruction, templates and bonus projects. The ladies in the other Stitching Societies are having a blast and we want you to join in on the fun. Register today. 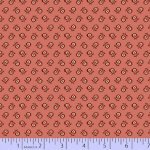 Even though the Row by Row Experience is over as far picking up your patterns and kits, you can still pre-purchase your kit that includes the pattern online and we will ship it out! November 1 as per the event rules. We had a lot of fun meeting new customers and seeing the friendly faces of our regular customers. Stay tuned for the next big event from the Row by Row organizers as there is something in the works beginning soon.